As a natural food scientist, natural foods entrepreneur and educator of natural foods for over 15 years, I would love to guide you in your healthy foods plan. Click here to learn more. WANT TO EAT HEALTHY FOODS BUT CONFUSED WITH EVERYTHING OUT THERE? If you are a newbie, newly diagnoses with diabetes, heart conditions, and any food related health issue, then you may be VERY CONFUSED with all the information thrown at you. I’m going to take you through step by step...if you stay with me through the first video and the following videos…as I introduce you to healthy foods and how you can use it to work for you. Ready my dear? Click on the video to get started then at the bottom of the page find out how you can take the next step, because only if you take the next step can you make foods work for you faster and effectively. If you are stressed, you will not achieve success, and for sure you will not stick to your plans…. The power for change is within you…all you need is some guidance…then you can be set free. Do get you free video and start to change your life for the better. Feel enthused about each day, love your body, enjoy your time with treasured ones and live the life you want to. A nomadic globe trotter for 3 decades, in 26 cities, solo, an entrepreneur, inventor, author, natural health scientist, mountain explorer, mentor, humanitarian, dedicated to guiding humans to live better lives and save Planet Earth. "If each human can be consciously aware of the multiplicity, connectivity and wonder of life, then we will engage in thoughts, words and actions that support Mother Earth. We will realize the greatest truth of all - we are all ONE. We will never harm another, but will always help each other. We will be Super Conscious. Then every human will have the basics of clean air, safe water, healthy foods, proper sanitation, sufficient housing, needed healthcare, empowering literacy and wholesome jobs that support Planet Earth. Let those who in abundance, already have these necessities, reach out and correct the ravages and inequalities over thousands of years of man-made actions, and restore humanity onto its natural course." "Join my humanitarian Super Conscious Humanity Initiatives in Africa where I'm empowering special needs people with skills training and wholesome jobs as they support Planet Earth. For more information select from the Menu bar at the top of the page. Lots of love, always," V.
Join next FREE LIVE STREAM? Need Help with Healthy Foods? 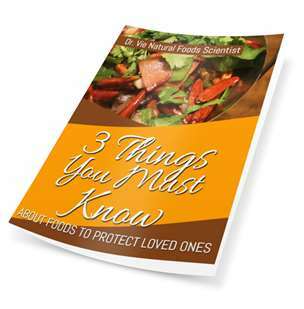 Right now, would you like to understand more about foods and how to use foods to better your health? 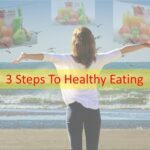 Click the 3 Secrets To Healthy Foods for your video course. For you, to jump start your healthy eating plan. 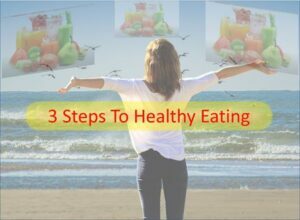 Discover the 3 Steps To Healthy Eating, that will change the way you think about dieting. Enter your name and best email then click on Get Video.